Published: Aug. 2, 2014 at 05:44 p.m. 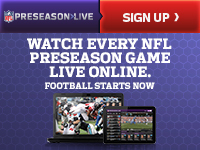 Updated: Aug. 3, 2014 at 12:13 p.m.
Minnesota Vikings coach Mike Zimmer hinted after the 2014 NFL Draft that No. 9 overall pick Anthony Barr would be used in a fashion similar to Von Miller's role in Denver. A week into training camp, Zimmer acknowledges there's a "strong" chance Barr will start the season opener, opposite weak-side linebacker Chad Greenway. "I would have said that after the first minicamp," Zimmer told reporters on Friday. "Anthony has so many good things going for him," Zimmer said Saturday, via Fox Sports North. "He's extremely smart. He hardly ever makes the same mistake twice. He takes unbelievable notes and he's a great athlete. He's got great size, great speed, great acceleration. "Now, there are still a lot of things he has to work on, but when he does things right it could be special." Zimmer stated early in the week that he has seen "great things" out of Barr and his expectations "are probably higher than for anybody else." With a new coaching staff and a roster sprinkled with talented but unproven young players, the Vikings are one of the hardest teams to project entering August. If Barr and quarterback Teddy Bridgewater meet expectations, Zimmer's squad could end up flirting with a wild card bid.